STEEL PANTHER, the glam rock band known for capturing the hearts of girlfriends and wives around the globe, announced today while on tour in Munich, Germany that their new album, "Lower The Bar", will go on sale February 24, 2017. For the fans that can't hold back their PANTHER urges, pre-orders are now available at the band's web site, iTunes, and Amazon with deluxe bundle packages now exclusively available at SteelPantherRocks.com. 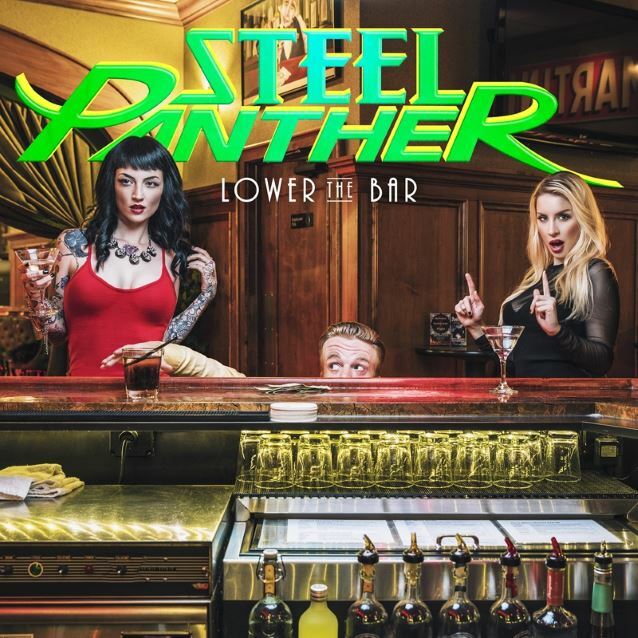 "Lower The Bar" is STEEL PANTHER's fourth studio album and is the follow-up to their 2014 chart-topper "All You Can Eat", which debuted at #1 on Billboard's Top Current Comedy chart and #24 on their Top 200 Album chart. To celebrate this historic moment in rock n' roll history and as a thank you their "fanthers," the band has just released "She's Tight", the music video for the new album's first single. "She's Tight" is STEEL PANTHER's "sexified" version of the CHEAP TRICK song and promises the skin that was left out of the 1982 hit. Cameos in the video include CHEAP TRICK's Robin Zander, Bobbie Brown, Paris Michael Jackson (the late singer's daughter) and Tony Palermo (PAPA ROACH). "CHEAP TRICK was one of my favorite bands when I was younger. I'm so proud to have recorded this track for our new album and also to have Robin Zander himself sing with me on the song. It's like a dream come true," said STEEL PANTHER lead singer Michael Starr. STEEL PANTHER is currently on a European headlining run, with dates in Austria, Italy, Germany, France, Luxembourg, Belgium, Netherlands and the U.K. (Wembley Arena), followed by national U.S. tour through January 19, 2017. For the uninitiated, STEEL PANTHER was formed in 2000 and is Michael Starr (lead singer), Satchel (guitarist), Lexxi Foxx (bass) and Stix Zadinia (drums). 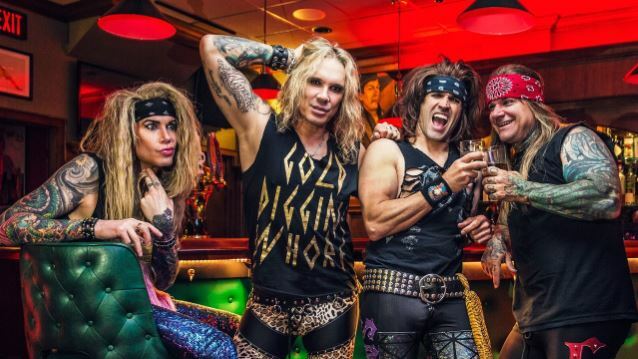 Hailing from Los Angeles, the epicenter for rock n' roll in all its debauchery and glamour, STEEL PANTHER has established themselves as the world's premier party band, melding hard rock virtuosity with parody and criminally good looks. STEEL PANTHER have three full-length albums, toured across the world, enjoy platinum-level YouTube status and have, to their name, high-profile television appearances such as "Jimmy Kimmel Live! ", "Larry King Now" and "FOX NFL Sunday".